Valspar Lacquers Dealer Orange County, CA | Fullerton, Anaheim, Yorba Linda, Placentia. Valspar Lacquers is the preferred wood finish brand of paint contractors, cabinet refinishers, and wood furniture manufacturers because its line of wood coatings are ideal for volume production. Valspar wood stains, lacquers, varnishes, glazes, and sealers are easy to apply, dry quickly, and finish beautifully. Additionally, their finishes offer many of the most sought-after benefits that you'll see from competitor lines but often at a lower price point. Call or visit our Anaheim paint store today to view our selection of Valspar Lacquer wood finishes. We keep a diverse inventory of single component lacquers and can also order anything we don't have in stock. 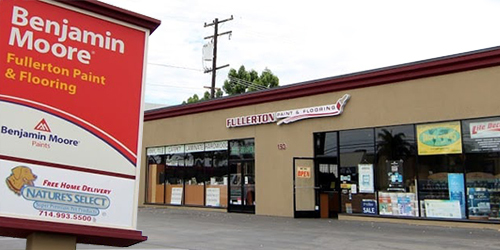 Call or visit Fullerton Paint & Flooring today to learn more.